The main component of limestone is calcium carbonate. Limestone is widely distributed in the worldwide, which can be used used as building material or important industrial material. For example, it can be used as portland cement to produce coating of top grade paper-making, or it can be used as filler of plastics and coatings. Besides, it also can be used in power plant desulfurization. In recent years, the engineering construction industry develops rapidly and total construction business is increased with the the level of the open economy improved. At the same time, the industry has put forward more strict requirements to the equipment. And limestone crushing plant takes important role in the construction, highway, railway, etc. industries. 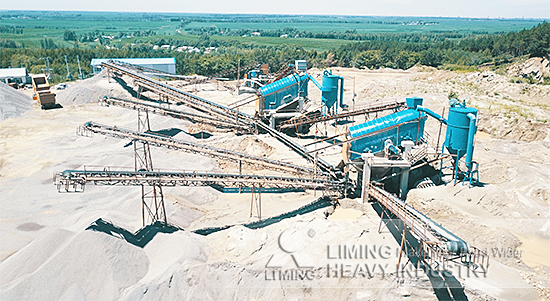 LIMING limestone crushing line consists of jaw crusher, bucket elevator, vibrating feeder, grinding mill, classifier, auxiliary machine, blower and centralized control device. For grinding plant, you can choose efficient super pressure trapezium mill, European type trapezium mill, high pressure suspension roller mill, Raymond mill, three ring medium speed micro powder mill and vertical mill, which will provide great profits for you.